Howie was on the floor of his room. He was wrapped up in a towel, drying off from the shower. “I could tell. You think it’s because you’re not feeling well?” He had been battling a mystery fever for the past two days. No other symptoms, just a low grade fever. “No. Not that.” He was looking up – not at my face but just passed me. I stood over him as he stayed cocooned up on the floor. 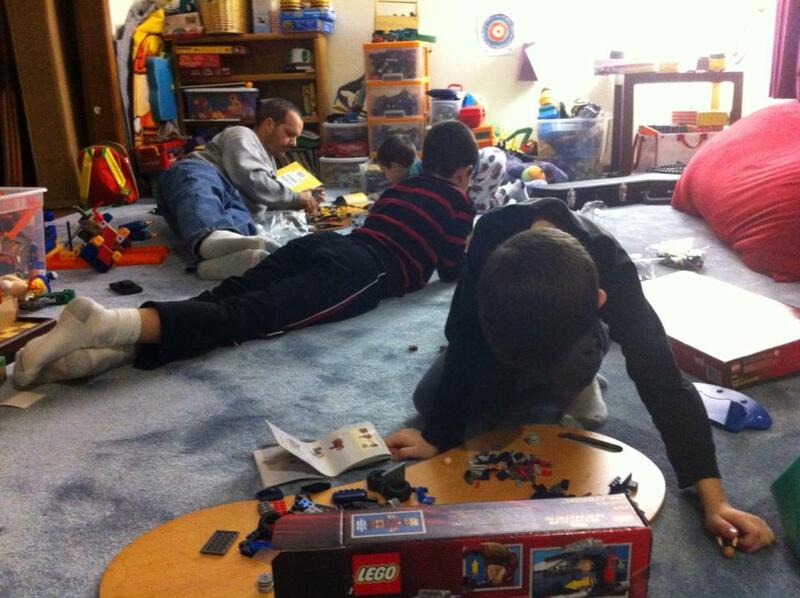 “Sensory overload,” he replied. His eyes shifted and immediately connected with mine. Howie paused for a moment. He said it in a very quiet, almost nasally voice. It’s the voice I recognize when he’s uncomfortable. I looked around quickly in his room. He took it from me and smiled. I took a quick picture of him on the floor with the creeper and showed him his happy face. He stayed on the floor for a few minutes, rubbing his hands over the figure and squeezing it. I left the room to help Lewis into the shower. 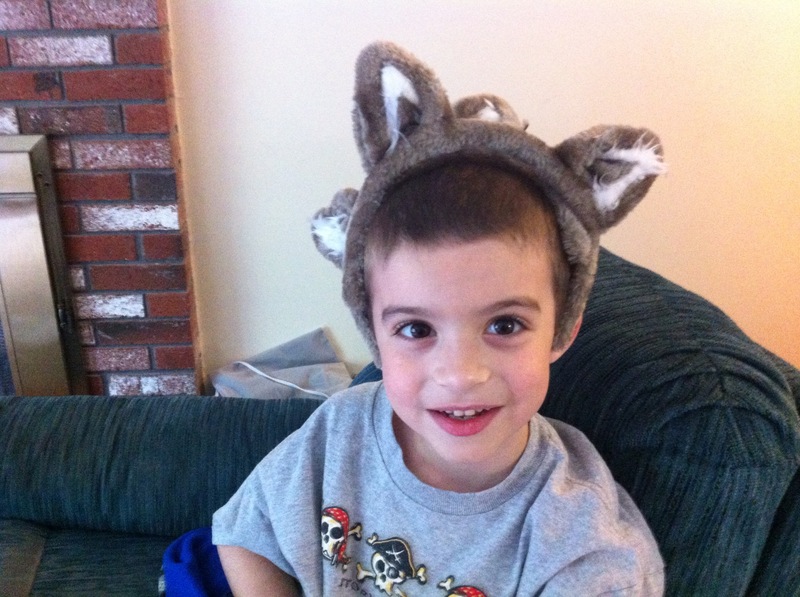 When I returned, he was dressed in his pajamas and in bed. He snuggled under the covers and grabbed his weighted stuffed animal. I leaned over and squished him tight. 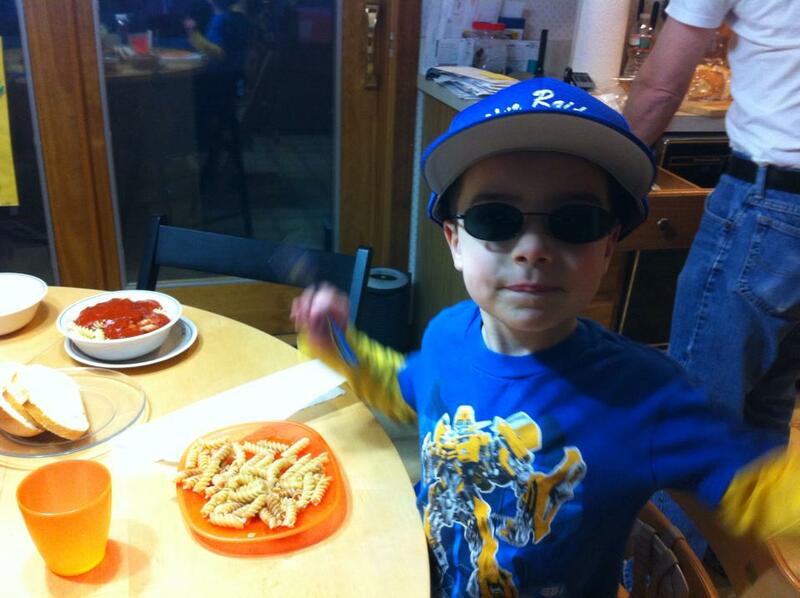 Part of his self-advocacy has to be the right of refusal of what I share and what I don’t. I took my position at the end of his bed. He slid his legs under mine and fell asleep. I could write about the sheer enormity of that conversation and what it means for him, for me, and for the people in his world. About how much hard work he has done with his teachers and therapists to get here – to not only understand his body but express it in a way that we could understand. I could write about all the signs I missed during the day today that could have told me what he so eloquently did tonight and even though I preach “behavior is communication”, I ignored it all. But right now I am just listening to him sleep. Soft, even breaths. The ones that I now recognize come when he’s back “in sorts”. And I’m just going to stay here a while. A photo from a different wrapped in a towel day. One that I’ve had permission to share in the past. Because you help my kid out of the car in the school drop off circle with a hello every morning. Because you watch him in the cafeteria before school starts to make sure he starts his day off on the right foot. Because you welcome him in to the school and know him by name. Because you believe in him when no one else does. Because you understand how a slight muscle movement or seat squirm or change in town of voice means he’s overwhelmed and needs a break. Because you modify the assignments to fit my kid. Not because he can’t do the work but because you know when he’s reached his limit. Because you read books and websites and attend seminars outside of school hours to understand my kid better. 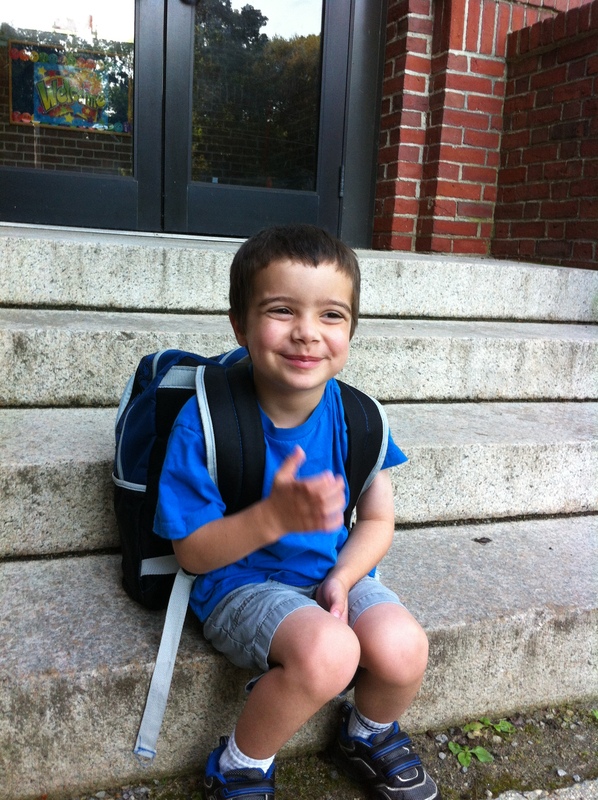 Because you love to come to work every day knowing that it’s about my kid and his successes. Because it’s not just a job to you. 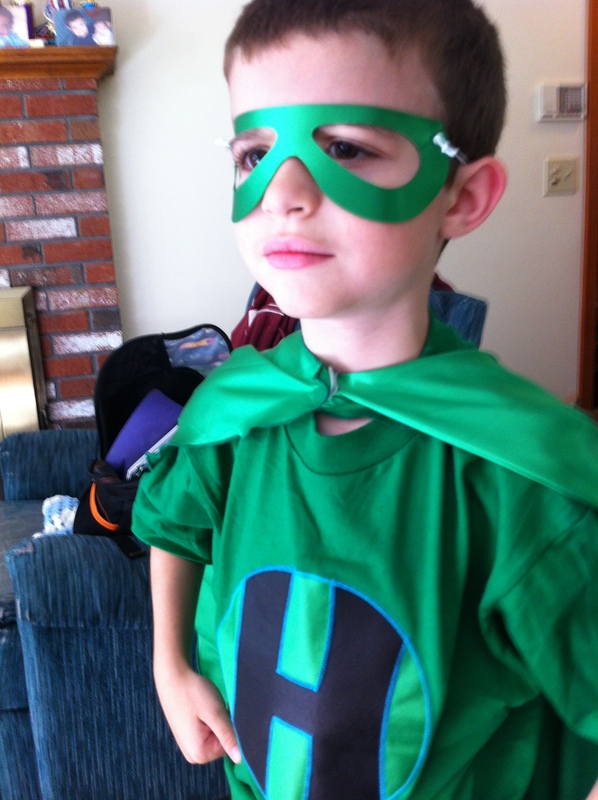 Because you see autism not as a limit but as his strength and step out of the diagnosis box to see him as an individual. Because you understand that the aggressions are not personal but part of the fight or flight overload of the day. Because you wake up after those tough days ready to teach again. Because you celebrate his successes and stay up at night figuring out how to help him the next day. Because you believe in progress not perfection. Because you do cartwheels in the halls and make collages of every single picture you’ve taken of him. Because you request to be my child’s aide and teacher next year. Because you taught him to love himself. And believe in himself. You. 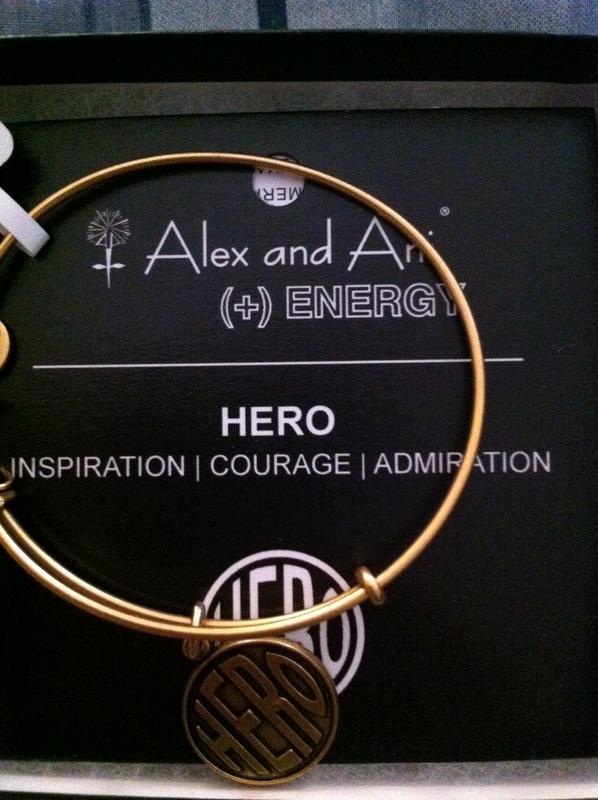 You are the heroes. 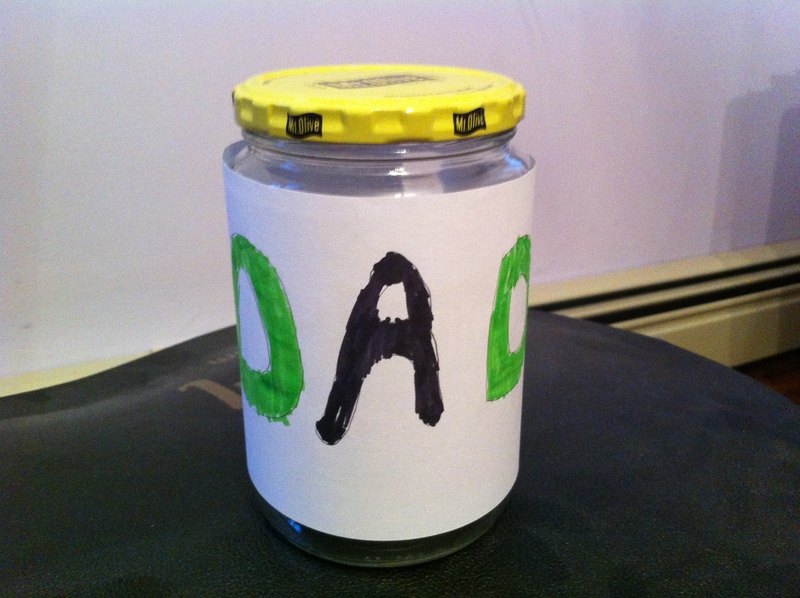 The boys made a memory jar for Tim for Father’s Day. I just knew there was no way they could create a piece of artwork or something homemade – the pressure would be too great and we’d end up where we were last year. 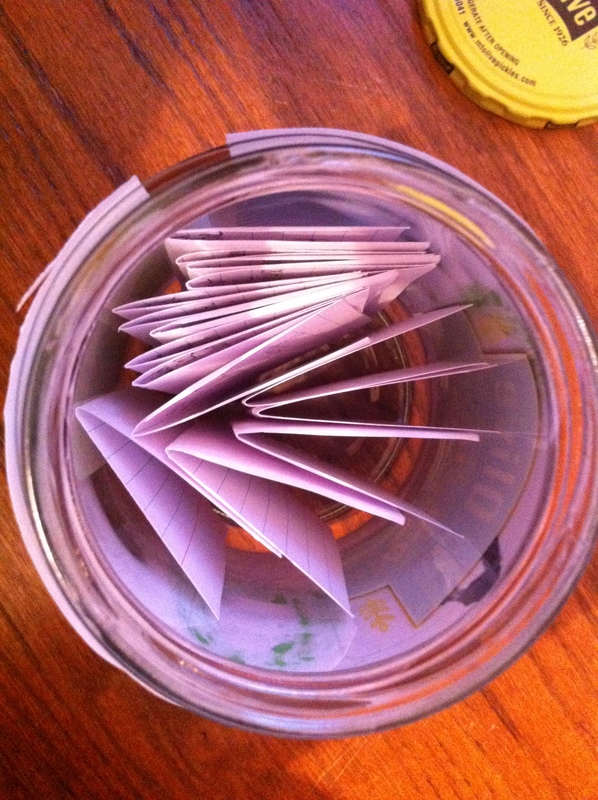 So I stole this gift idea from my friend Jess. I asked the boys some questions and recorded each answer on a slip of paper. And because the answers were so perfect, I had to share them here. 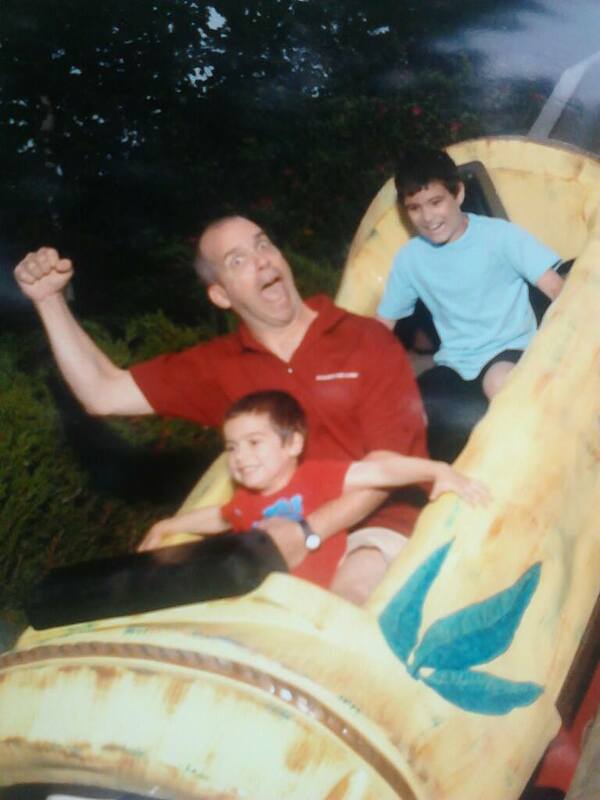 What’s your favorite thing you did with Dad this year? What is something that dad did that made you laugh? What is your favorite thing that Dad cooks? What do you like to do with Dad? 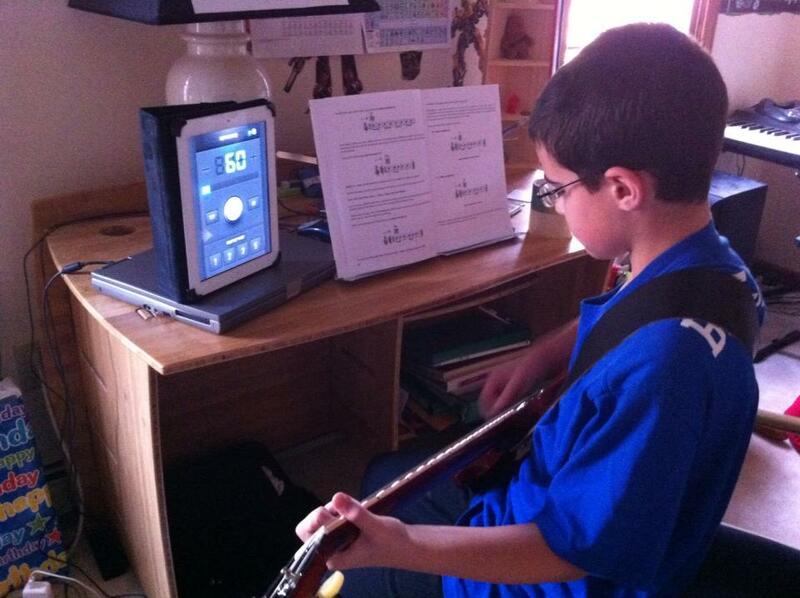 What would you like Dad to teach you this year? H: How to armpit fart since I’m not very good at it. 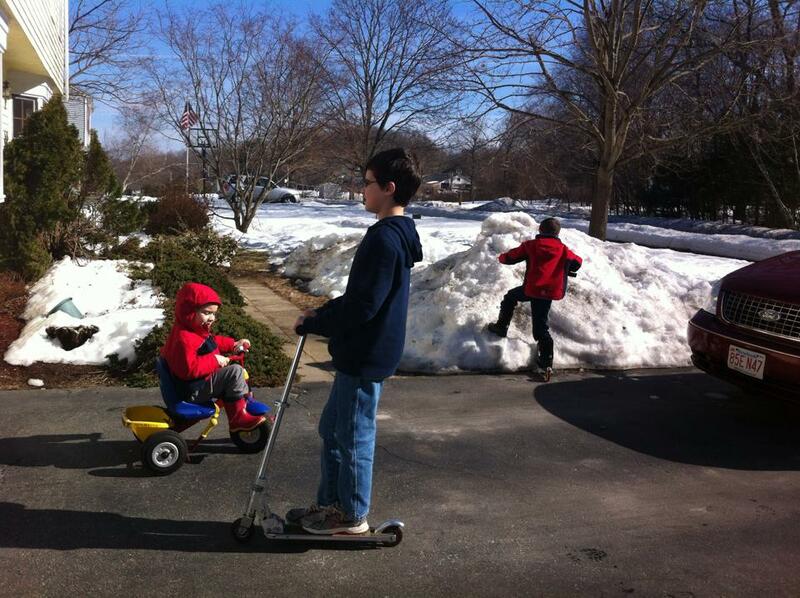 L: How to ride a bike with two wheels. My favorite thing we did this year? We were a team – through school meetings and sports activities and everything in between. 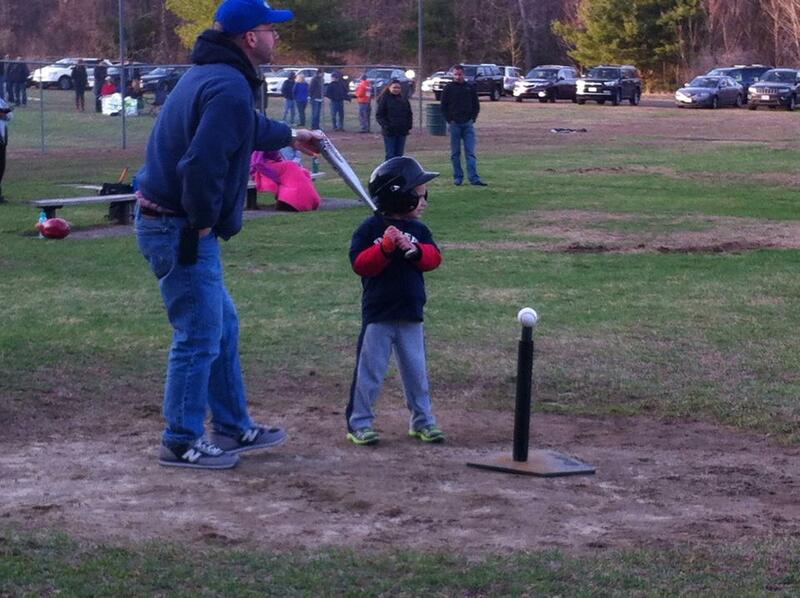 You didn’t miss one baseball game or concert or IEP meeting. You arranged your schedule to be there for the boys and for me. We took “divide and conquer” to a new level to make sure each kid had alone time and quiet time. Something that made me laugh? I have many specific private moments when I laughed until I cried. And then there were the times when I wanted to cry, you made me laugh instead. Holding my hand through it all. My favorite thing you cook? Everything. Duh. That’s right. 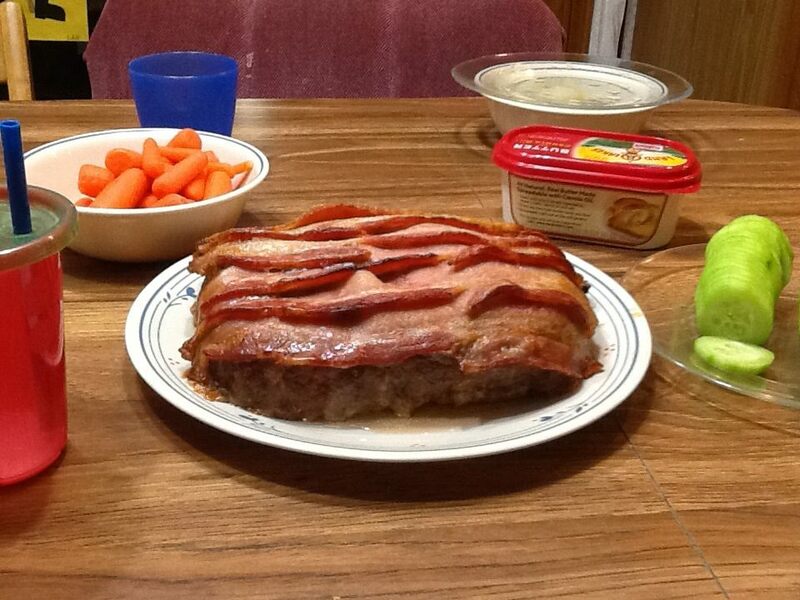 That’s bacon wrapped meatloaf. What do I like to do with you? Again, everything. What would I like you to teach me this year? I want to find my “fun” again. 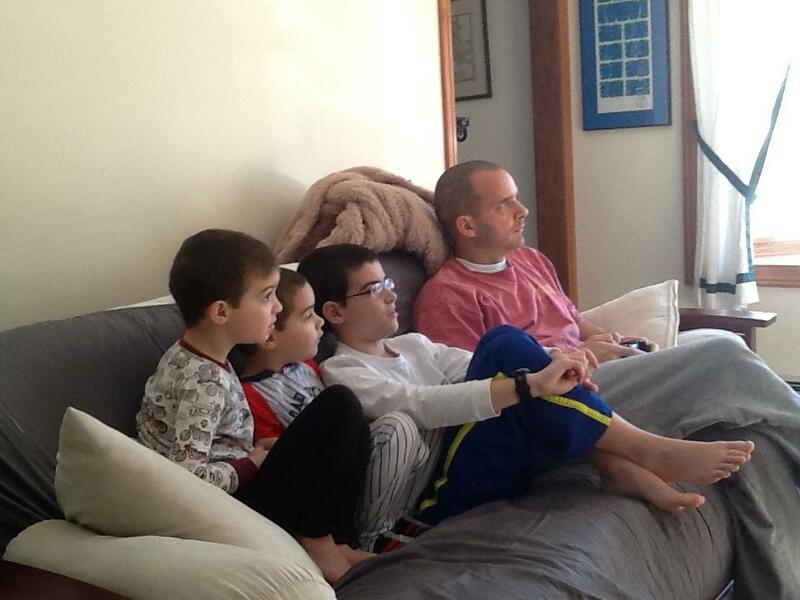 I see how the boys turn to you for the games, the laughs, the “let’s do this” together. You understand the boys in ways I can’t. I want to learn all that from you. note: I was given complementary passes for food, accommodations and other activities to attend the grand opening event at Great Wolf Lodge in Fitchburg, MA. But all opinions are my own. 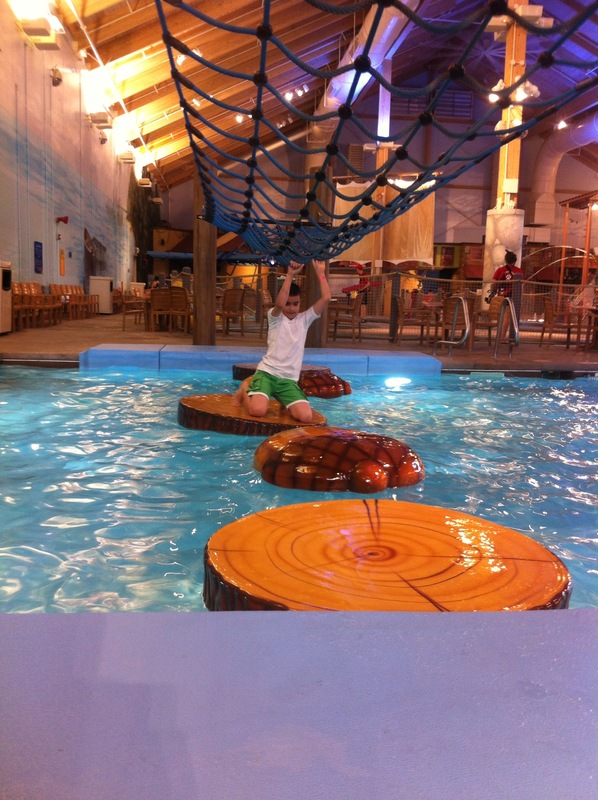 We had seen the commercials for a long time: Great Wolf Lodge was coming to the New England area! 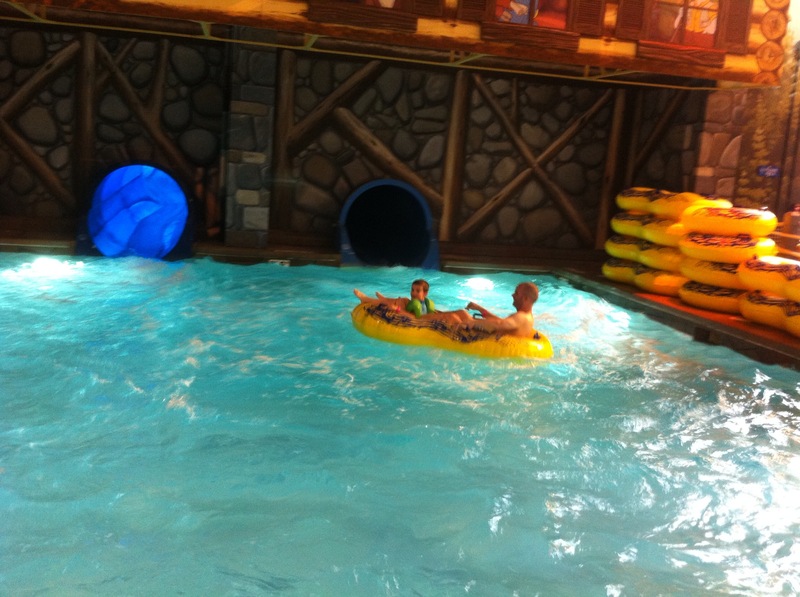 My kids – avid water park fans but haters of bugs and heat – were so intrigued by the idea of an indoor water park that when we were offered the chance to be there on opening day, we couldn’t say no. Even though it was on a school night. We prepped for the trip the way we do with most new places. 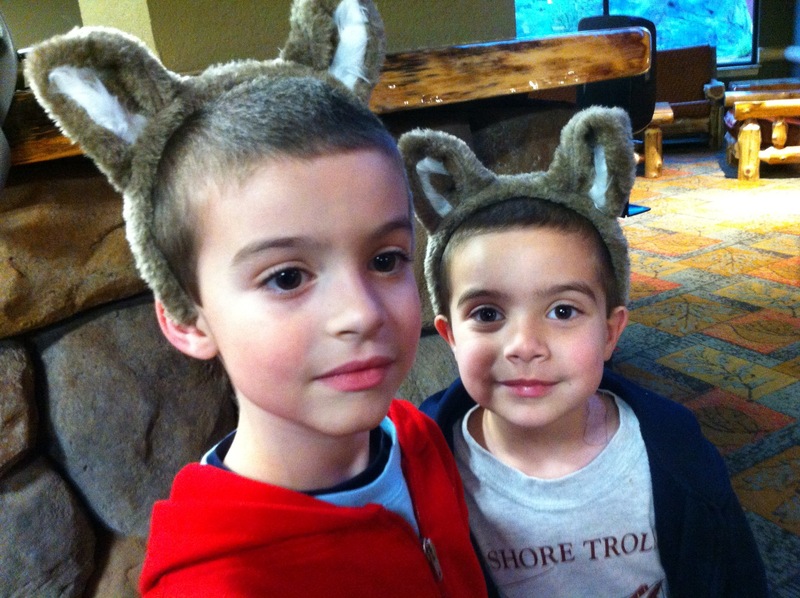 I spent a lot of time with the boys on The Great Wolf Lodge website so not only did we know what would be there, we knew what rides and activities were going to be appropriate for their skill level and height. They had pictures of the rooms online as well and we “walked” through the park, learning about each of the rides and requirements. We created our own social story so there would be no surprises. 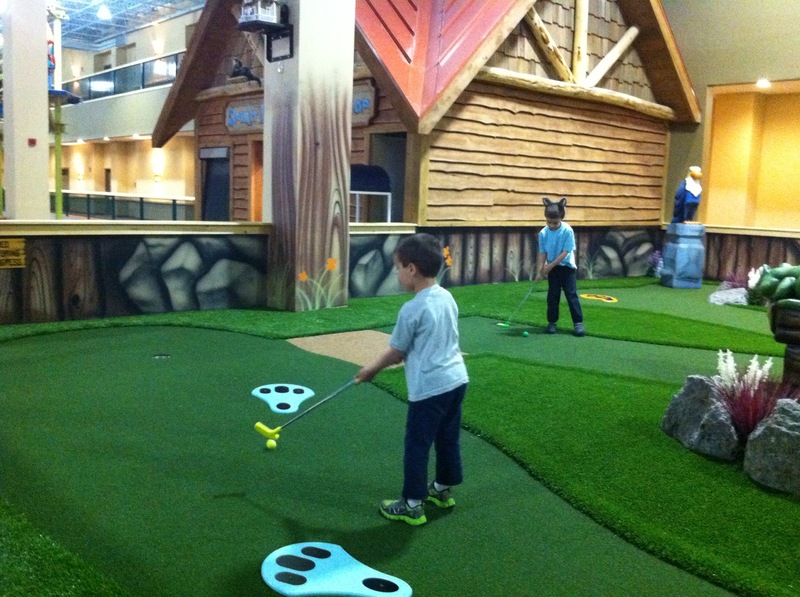 In the Howlin’ Timbers part of the park, there is a nine hole indoor golf course. It was perfect for Howie and Lewis. They had a blast playing the course. There is also a giant arcade area near the restaurants and lobby. Not surprisingly, this is where my kids wanted to stay the longest. Like many arcades these days, the games are paid for on a pre-paid card so there’s no fumbling with money or tokens for each game. I was amazed at how quiet the arcade was. 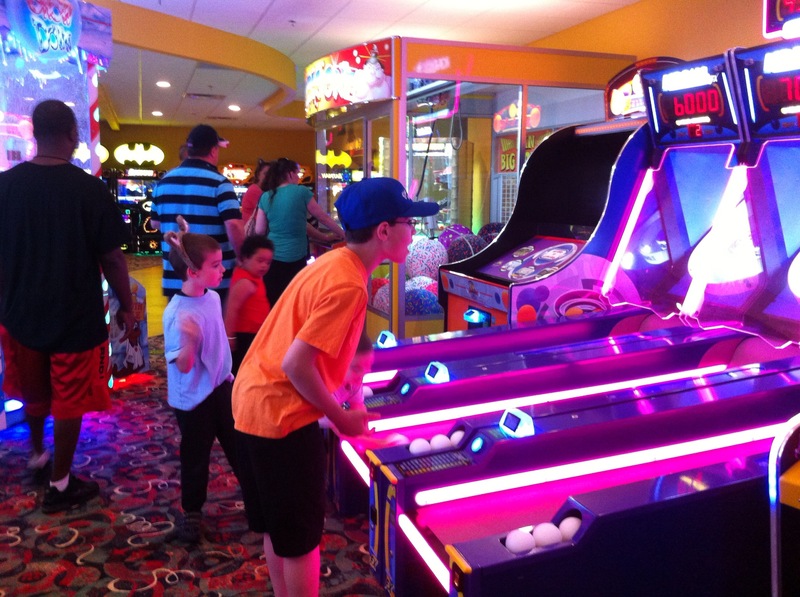 Usually arcades are not only my kids’ sensory overload nightmare, but mine as well. The Great Wolf Arcade was quiet and calm. So we were able to stay and play for a long time. Alongside the arcade is a pizza place and ice cream shop. 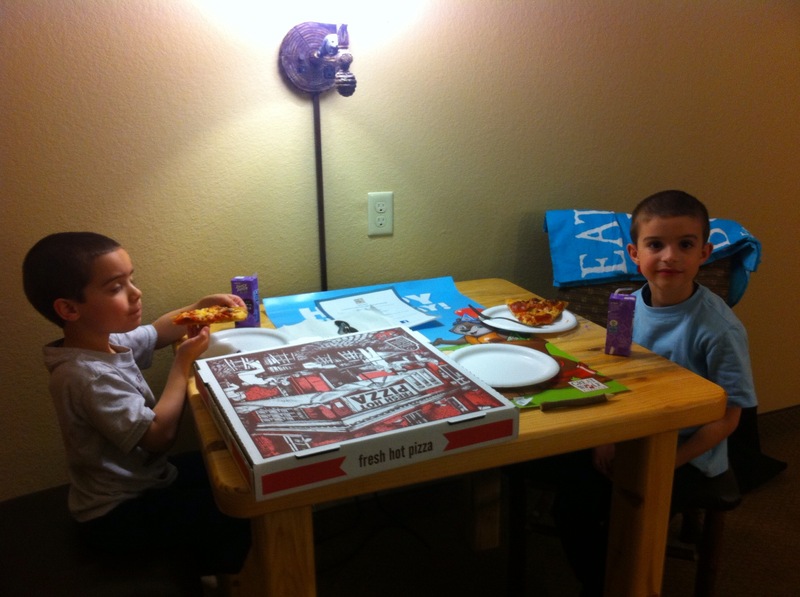 We opted for pizza to go and brought it back up to our room. I have to tell you – I have incredibly picky pizza eaters. The “Hungry As A Wolf” pizza passed the test from all three of them. That’s almost unheard of in our house. 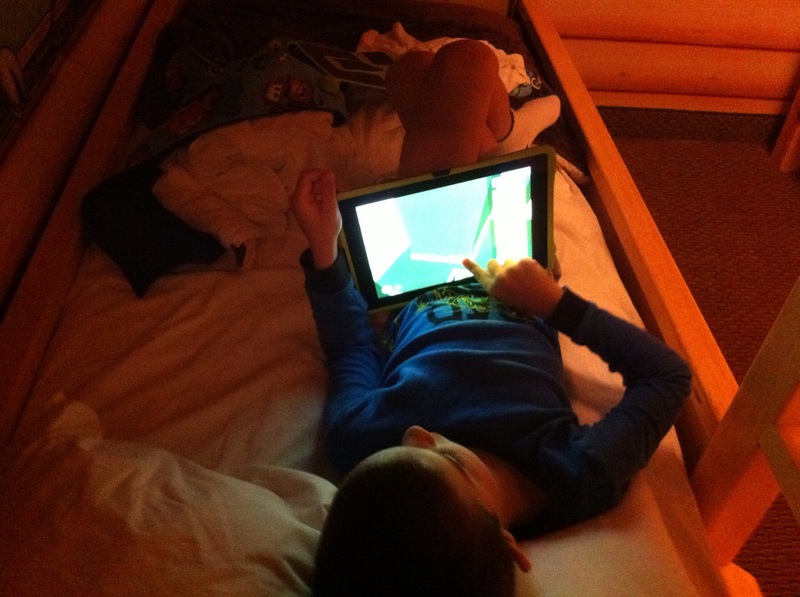 We were given a KidCabin Suite in the newest part of the resort, overlooking the Howlin’ Timbers play area. 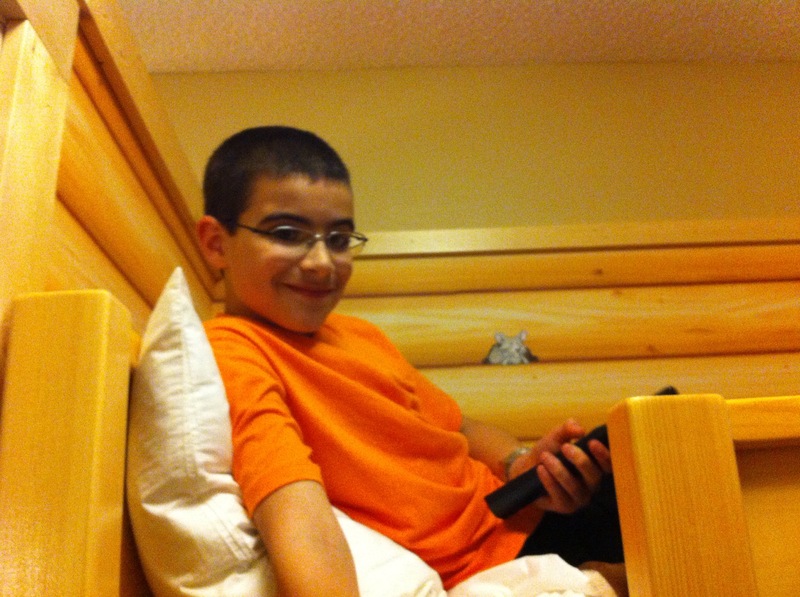 The room was one queen bed plus a fold out couch and then a separate area with a bunk bed and day bed. My kids settled into their own special area, which also has its own TV. They were in heaven. Bottom bunk man. And yes, wifi is included free at the resort. We asked ahead of time. At the risk of TMI, this was the first time in our vacations as a family that Tim and I shared a bed at a hotel. And the kids actually stayed in their beds. That doesn’t even happen at home. There’s also a Dunkin Donuts on the premises for breakfast, lunch, dinner and whenever you need it. Because this is Massachusetts and there needs to be one on every corner. Thank goodness. We hurried back to the hotel room to change into our swim clothes. And off we went. 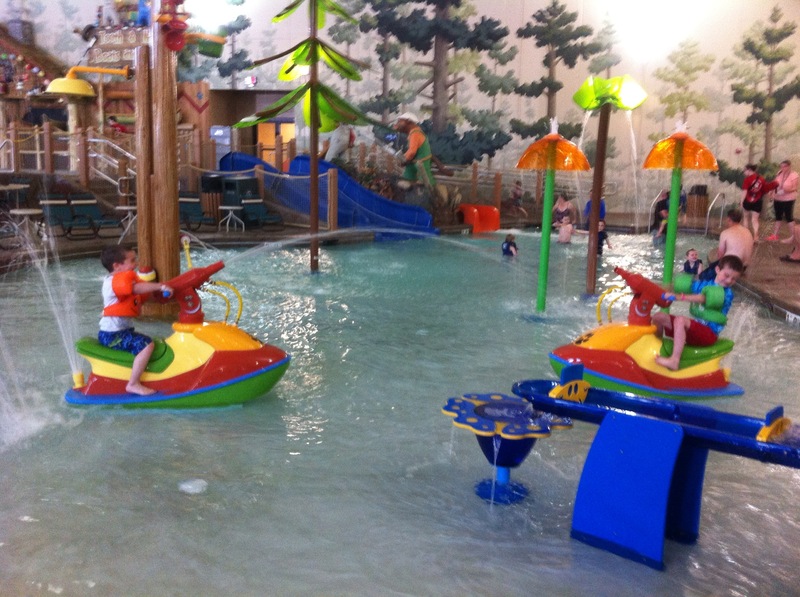 The water park area of the resort is split into two sides. Great Wolf took over an existing water park area so one side is where the original park had their waterslides and the other side is all new. It seem to cut down on the crowds and confusion and it wasn’t so overwhelming. 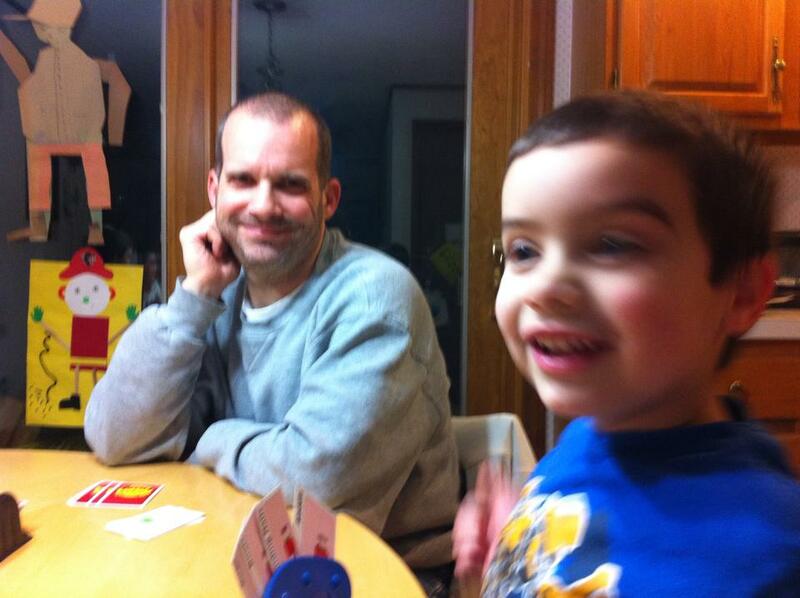 It also made it easier to find each other as Tim and I played “divide and conquer” with the kids. 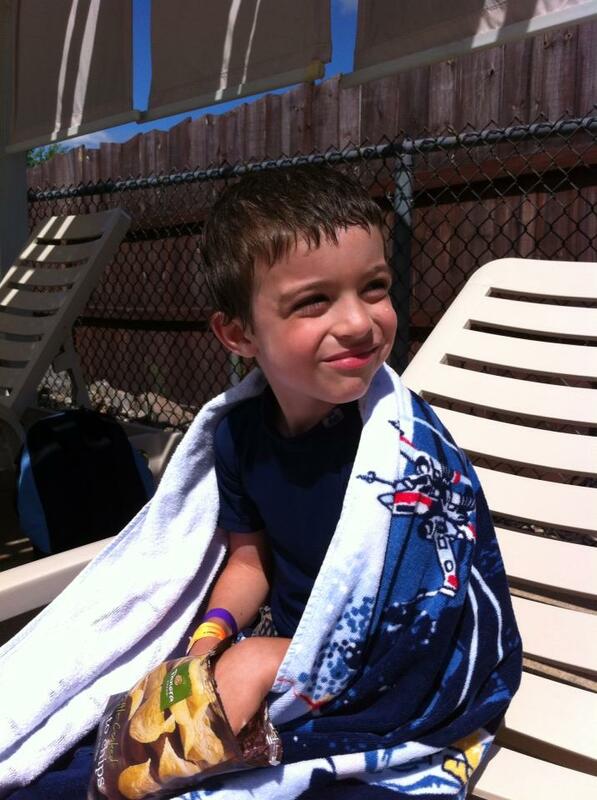 He did the bigger slides with Gerry and Howie and I spent most of my time with Lewis in the Tadpole Pond area. 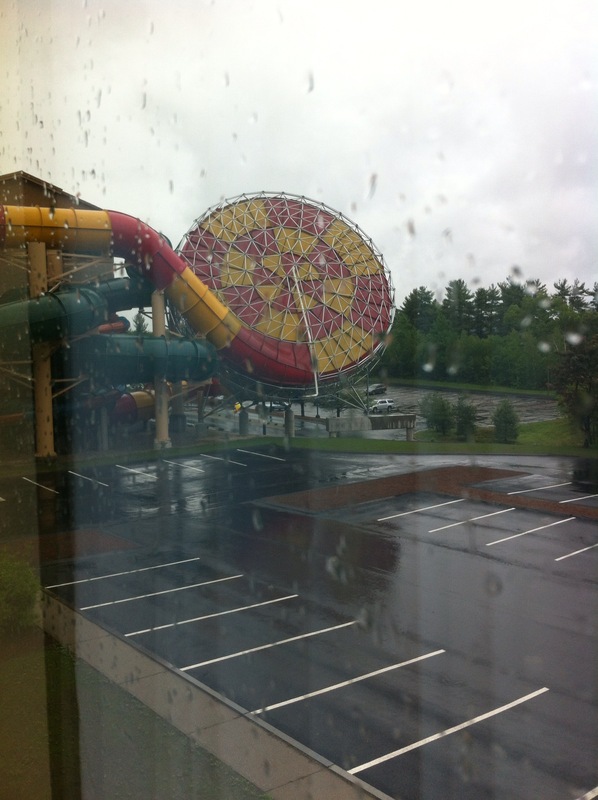 That was the view of the Howlin’ Tornado from our hotel room. Through the rain. That’s right – it poured the whole day we were there. Did we care? Nope. Howie’s favorite was Alberta Falls – the dark tunnel side. It may or may not be because Tim told him it was like they were getting flushed down a toilet. And Lewis was incredibly happy to stay at the little kid area. And I was incredibly happy to have him stay here. I actually sat down. At a water park. It was a miracle. Life jackets are provided for all ages and all sizes at the park but we opted to bring our own. Considering the fact that I brought three suits for each kid because I didn’t know what would fit or feel right for them in the moment, the more familiar we are with something, the better it is. Our own life jackets bring that sensory comfort level. 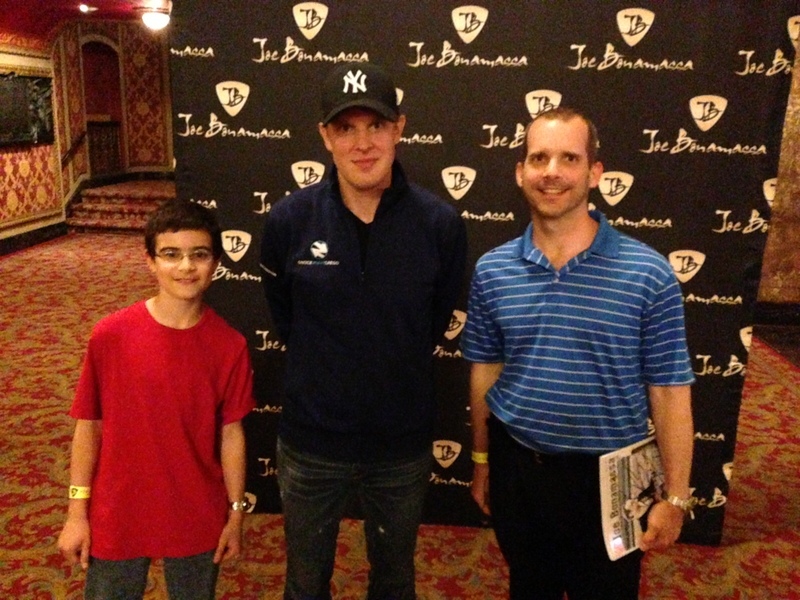 Speaking of sensory issues, I kept checking in with Howie about how he was doing and feeling along the way. The water park was not crowded but it was very echoey and I was worried that he would be on noise overload. He kept telling me he was fine. The only thing that seemed to bother him were the smells in the area near our hotel room. Everything was new : paint, carpet, beds. Those smells were slightly overpowering. But there was no heavy chlorine smell in the park and no overly bright lights. Every half hour or so, there was an alarm that went off at the wave pool. But that was it. All of the places where I expected that he would have a hard time, he did great. All of the kids did great. I was amazed. 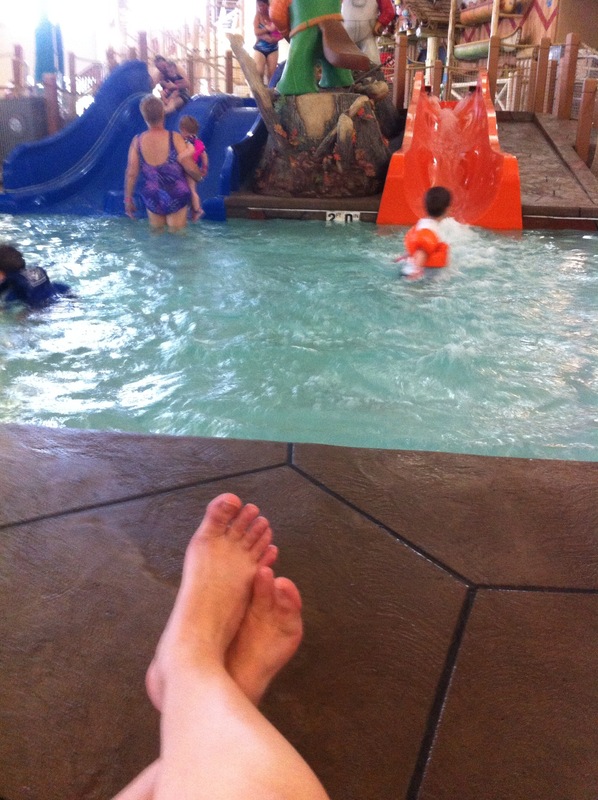 We had a late check out of 2pm, so we stayed at the water park area until about 1:30. We changed quickly in the hotel room and checked out. Our water park passes were good though until the park closed that night. There are lockers and changing rooms if we wanted to stay. We chose to check out the other parts of the Howlin’ Timbers Play Park instead. Who is this crazy kid up so high? 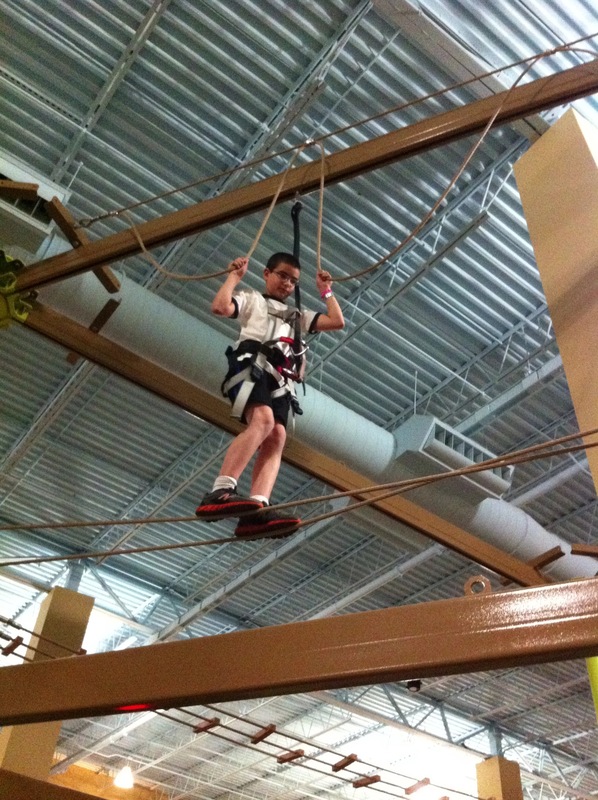 The lower ropes course was more their speed. 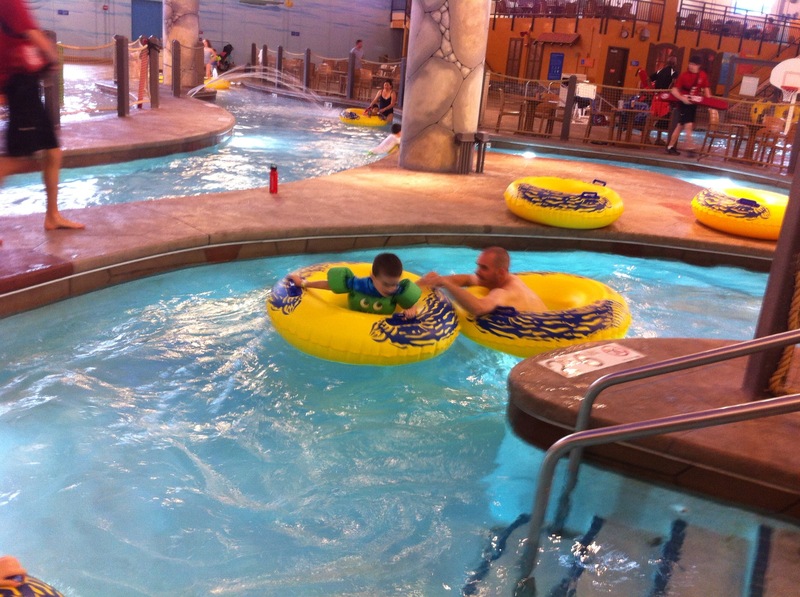 I was super impressed by the staff at Great Wolf and how attentive they were. When the line to go on the ropes course got long, two other staff members appeared out of nowhere to assist on the course. The staff all seemed to be local as well, as indicated by their town on their name tags. I love the boost to the local Worcester County economy with that. 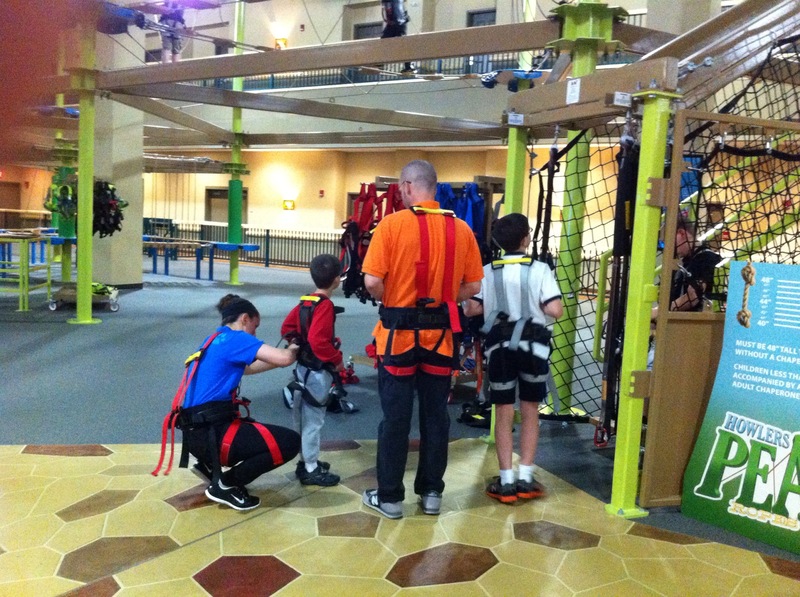 After the kids were off the ropes course, they played two games of bowling each. No rental shoes needed. 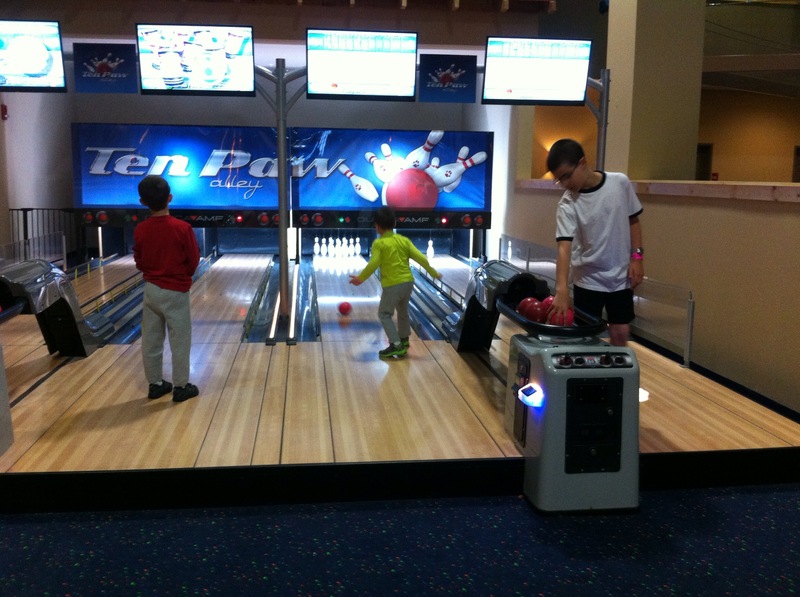 And bumpers for the kids so no gutter balls. This was a big hit with my guys. It was also not noisy at all like many bowling alleys. Again that made it so much easier to stay and play. There were several things that we didn’t get too because we just ran out of time and energy. There’s a whole MagiQuest game and movie theater that we didn’t even attempt. It looked like fun but we had to save something for next time. There’s also a kid spa and a story time that we skipped. My kids aren’t fans of people in costumes so we stayed away from those areas. 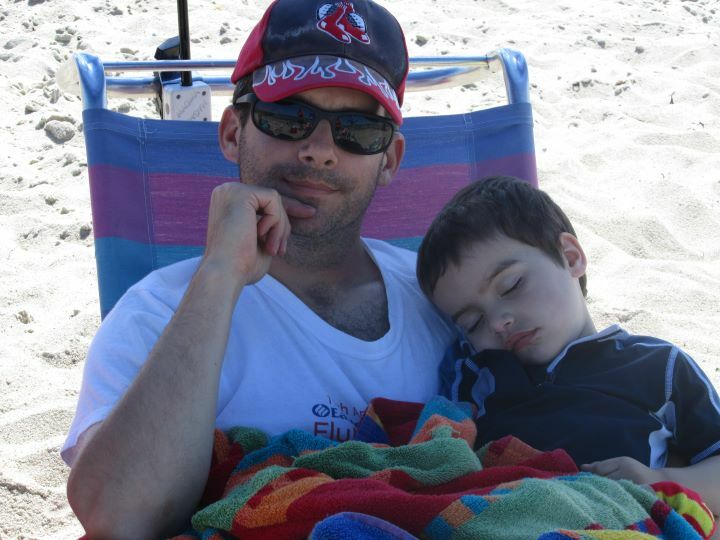 Because I am always looking through my special needs parenting glasses, there are a few things that stood out to me at the park. First – it was very quiet. Many areas were carpeted so there wasn’t a lot of noise bouncing off the floor and walls. The lighting was also natural light in many places in the park. The arcade was calm and quieter than most arcades I’ve been in. There was also a variety of food choices on the menus for the restaurants so there seemed to be something for everyone. We did bring a lot of our own food but every room has a decent sized fridge and microwave so that wasn’t an issue at all. Now we were there for the grand opening and it wasn’t very crowded. We’ll have to go back to see if all these things stay the same when the resort is full. I also liked that everything was on their website so we could preview it ahead of time, even the room layouts. That was huge in making sure my kids knew everything before we left. We aren’t the “surprise! Here we are!” kind of family. There are definitely some things to know before you go. You can’t purchase day passes only to the resort so you have to stay overnight. 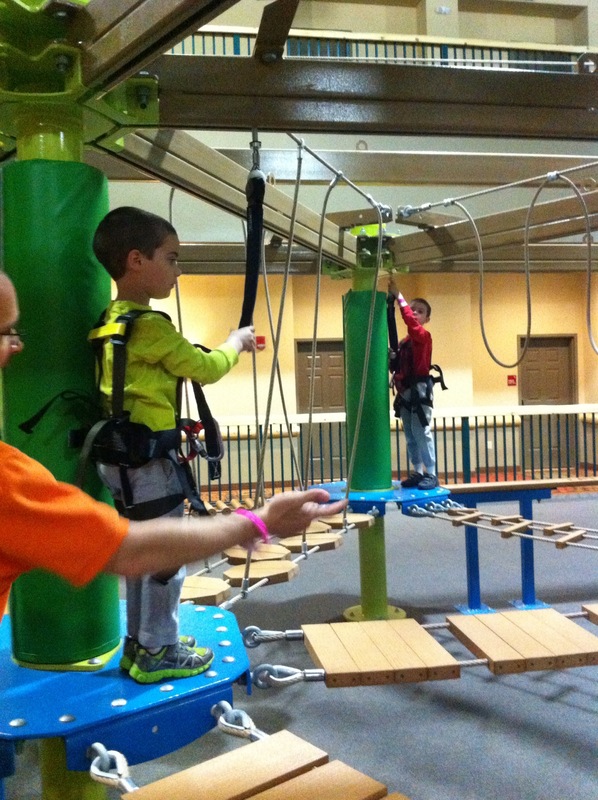 The water park passes are included as part of the hotel room, as is the ropes course. 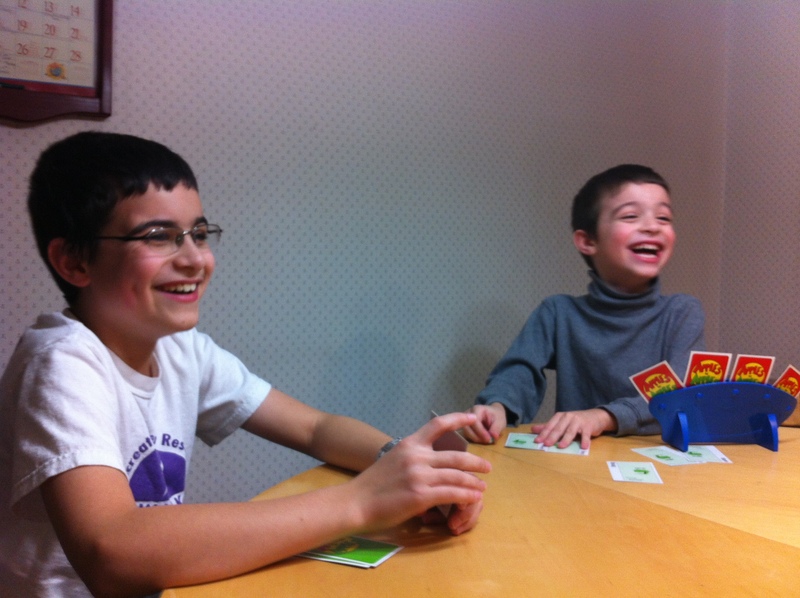 While there, I was thinking how wonderful it would be to have our kids’ home therapists with us to help with turn taking, peer interactions, and meals, yet I didn’t actually want to pay for a hotel room for them. Considering the number of special needs families who may need to bring a babysitter/therapist/teacher along to help out, I did ask if you can purchase additional day passes though for people joining your party who are not staying over. The answer was yes to that. Definitely ask when you make the reservation to see how many day passes you are allowed to have. Your room key is a chip in the water park bracelet so there’s no possibility of losing your keys (or having them stolen) while swimming and you can choose whose bracelets are activated as keys. We did have to warn the kids that they would need to wear the bracelets all the time as this is usually a sensory issues for all of my kids. When we got home. the kids were asking when we were going to go again. 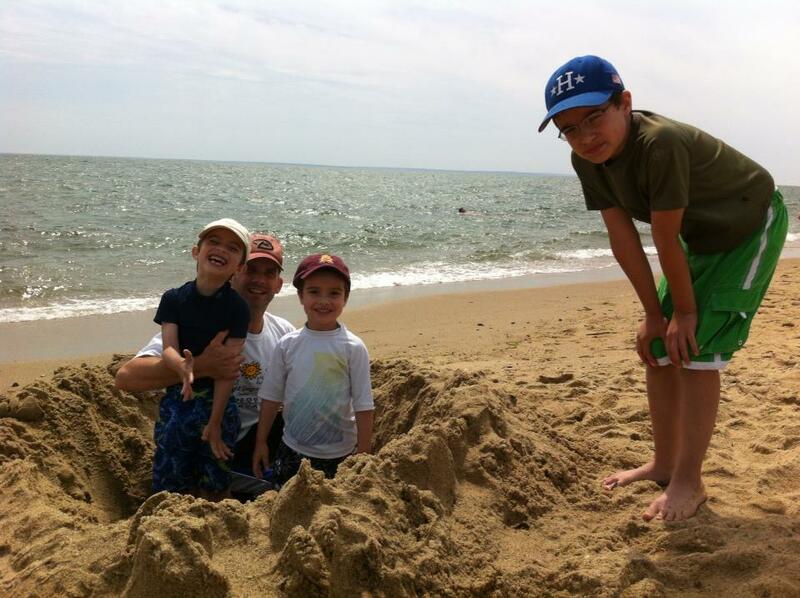 This mini-vacation came exactly at the right time for our family. We needed a stress free time away from the house where we could just relax and be ourselves. 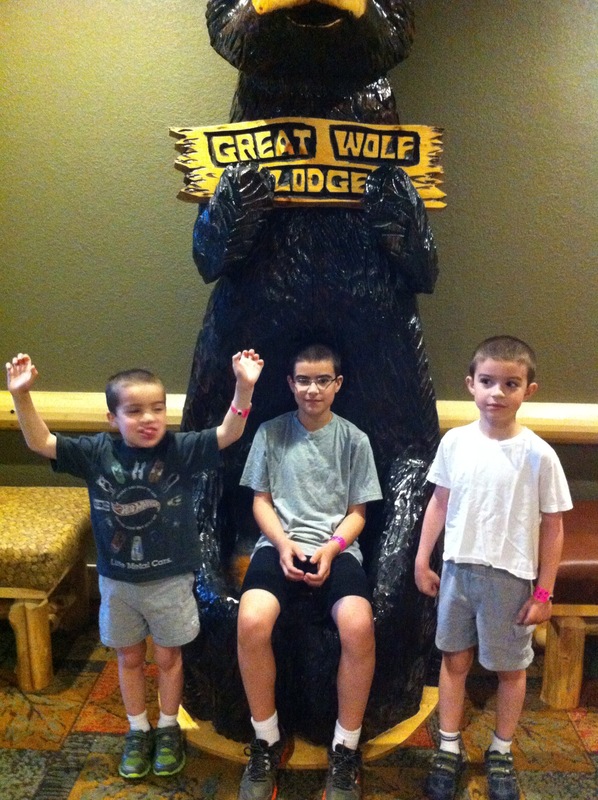 We got that at Great Wolf Lodge. I know we will be back very soon.